This stylish bouquet is the perfect gift to bring joy to a women in your life. 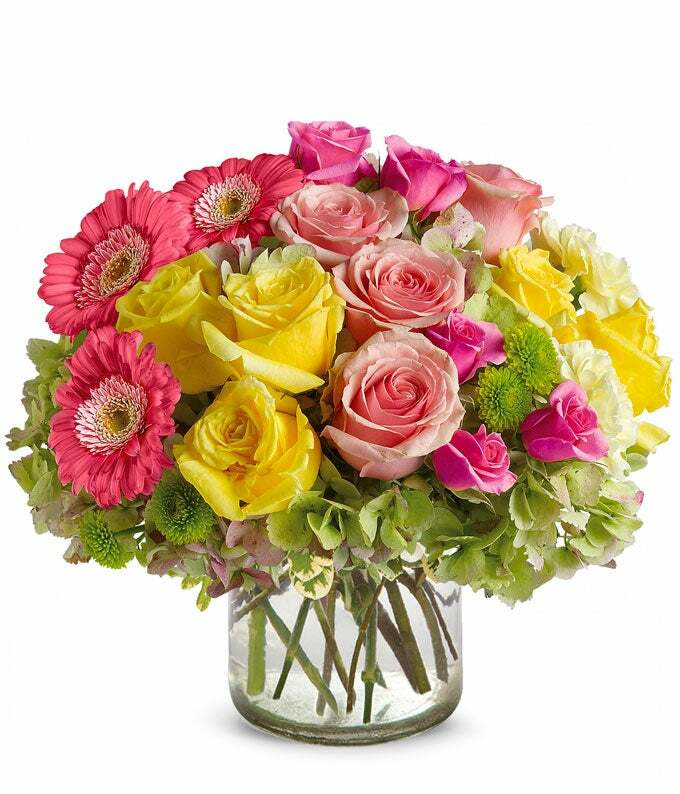 The glass vase is filled with mini pink Gerbera Daisies, Yellow Roses, Pink Roses and Green Hydrangea. This modern mixed color and stems are the perfect addition to a desk, so that she can show off on her birthday or anniversary.